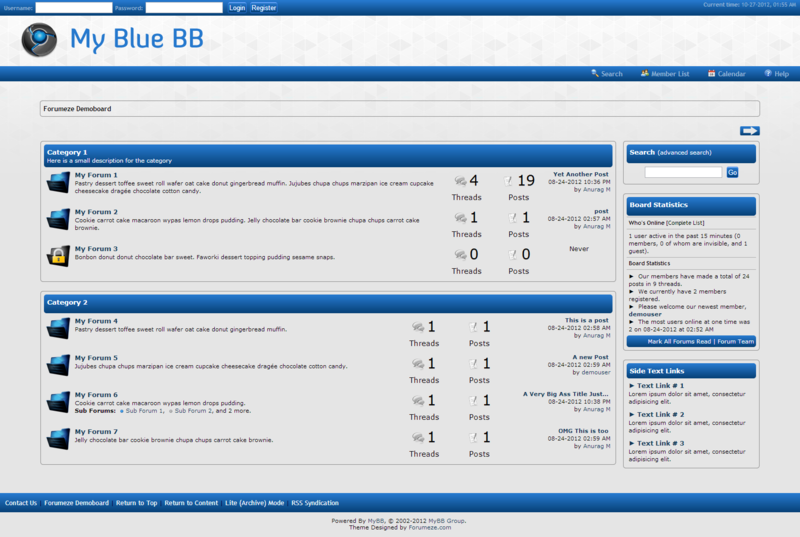 A theme with CSS gradients, and a cool collapsible sidebar. 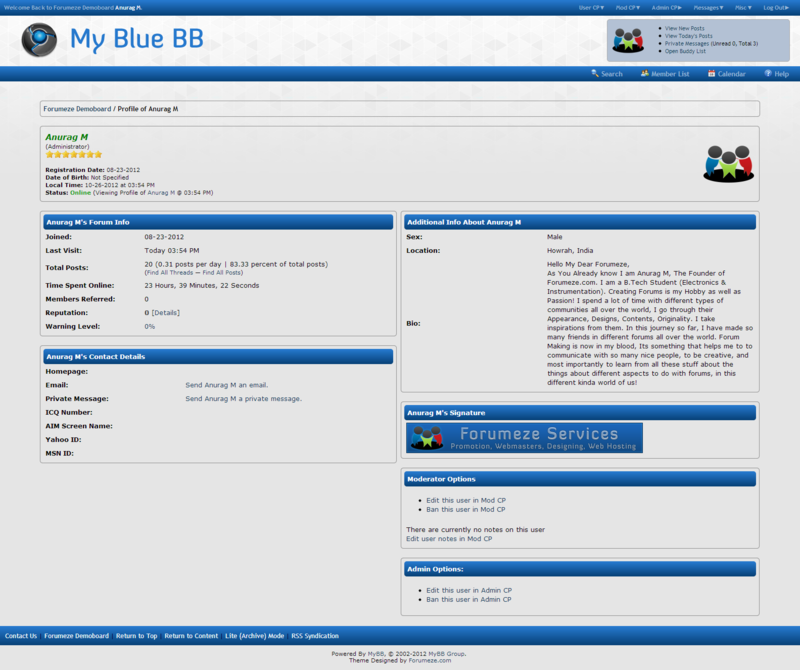 A cool Blue colored MyBB theme. It is most suitable for general chat forum or similar. A simple and professional design with a new forumbit design. 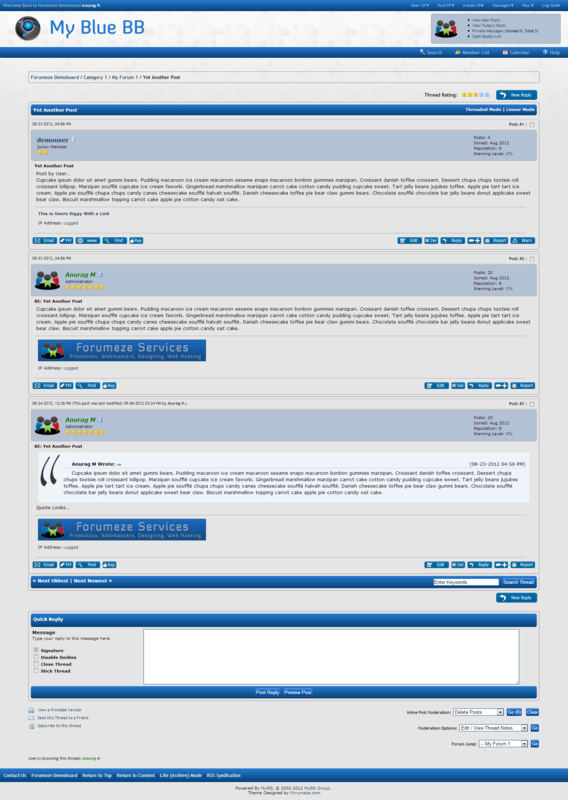 The main aim of this theme was to maintain a professional look in a simple manner. 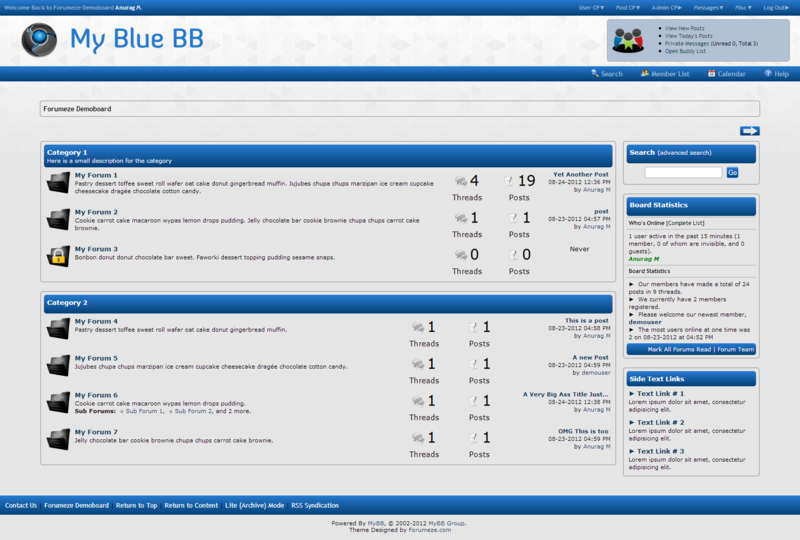 This theme mostly suits with general discussion or any kind of simple looking forum with any niche.